Fog Signal: Two (2) blasts every 15 seconds (3 second blasts). Radio activated (via MRASS) and lasts 60 minutes. Gurnet Light was first built in 1768, with two lights on the property of John and Hannah Thomas, who also became the first lighthouse-keepers. In 1778. The lighthouse was struck by a cannon ball fired from the British frigate HMS Niger. One of the lighthouse lanterns was damaged. In 1790 the state turned the lighthouse over to the federal government, who hired who hired Hannah Thomas, the first woman lighthouse-keeper. The lighthouse burned in 1801 and the government then rebuilt it as twin towers. In 1842 the crumbling towers were replaced with two white octagonal pyramidal towers. The lights were 70 feet above sea level. However, the lights were too close together and often were seen as a merged single beam of light. In 1871 a fourth-order fresnel lens was installed, greatly increasing the strength of the lights. 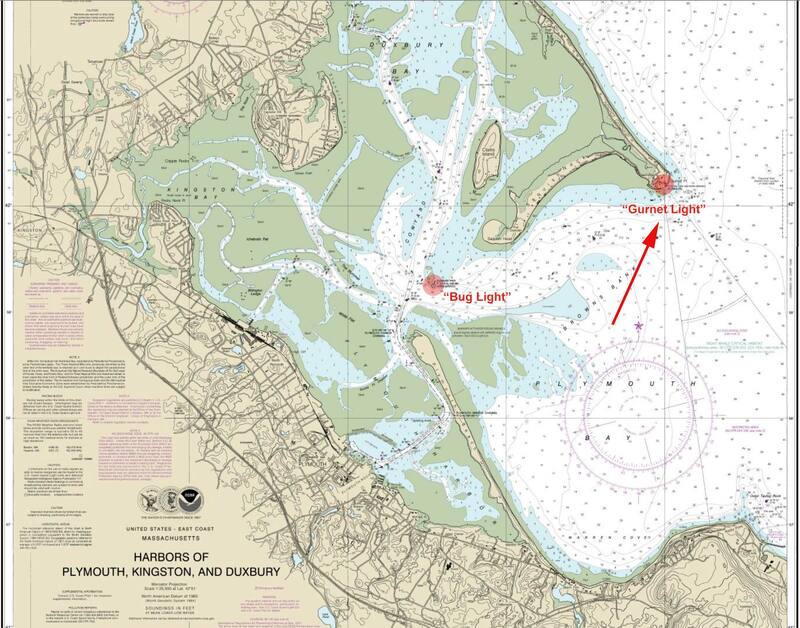 In 1914 the Cape Cod Canal opened, giving new importance to the Gurnet as a navigational aid. In 1924 the Bureau of Lighthouses discontinued one of the twin lights as it phased out multiple lights. The remaining light still stands. On March 8, 1977, the Plymouth Light Station was officially recognized and received the status of National Historic Place. In 1997 the Coast Guard moved the lighthouse back from the eroding 45-foot cliff. It was standing only 50 feet from the edge when it was placed on rollers and moved by tracks 140 feet from its previous site. It now sits on the property of Fort Andrews at Gurnet Point. 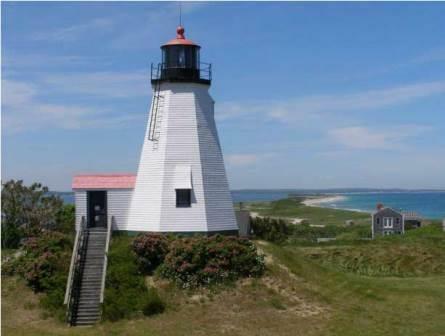 In 1999, the Coast Guard turned Gurnet Light over to Project Gurnet and Bug Lights, Inc.